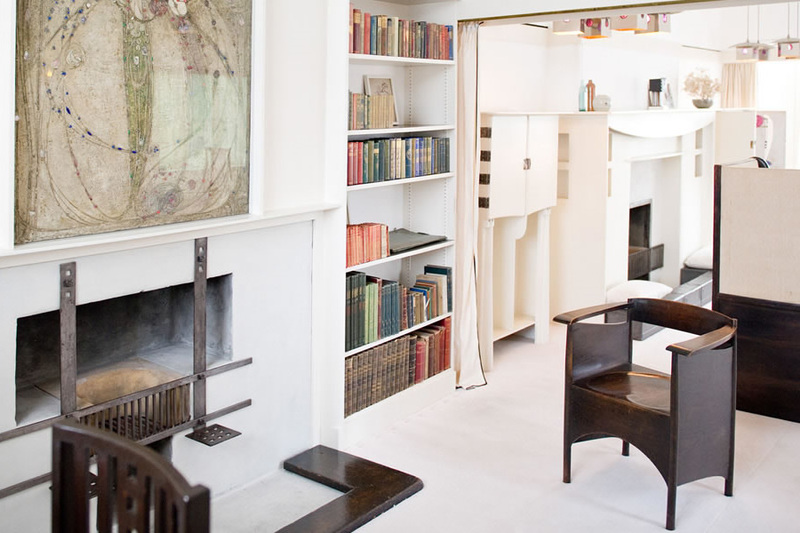 The interiors of 6 Florentine Terrace, Glasgow – home of Charles Rennie Mackintosh and Margaret Macdonald Mackintosh from 1906 to 1914 – meticulously reassembled within the University's Hunterian Art Gallery. From Tuesday 5 July 2016, admission to The Mackintosh House is by a combination of guided tours and free flow self-guided visits. The admission charge for both is £5.00, £3.00 concession (£6.00/£3.00 from 23 January 2018). Mackintosh House studio-drawing room.Admission is self-guided from 1.00pm Tuesday to Friday and all day on Saturday and Sunday. Last admission 4.15pm (3.15pm Sunday). Shop. Cafes on the University of Glasgow campus. Admission to The Mackintosh House is by a combination of guided tours and free flow self-guided visits. The admission charge for both is £5.00, £3.00 concession. By Bus: First Bus numbers 44 and 44A from the city centre to University Avenue. By Car: The University is signposted locally. Pay-and-display parking on University Avenue and adjoining streets. Free parking on campus at weekends.